It is thought there are just 10,000 ethnic Azeri Christians. Azeri culture is Islamic, and Christianity is associated with Azerbaijan's hated enemy Armenia; those who convert to Christianity are considered traitors. Churches must be registered, but none have been able to do so since January 2010. Churches face raids, threats, arrests and fines. Official checks are becoming increasingly strict, and the government appears to be tightening its grip on religious groups. It is illegal to hold religious meetings in private homes, but almost impossible to build church buildings. Pray that Christians will be able to meet together safely. With many Christians struggling to find and keep jobs due to discrimination, ask God to provide for them. Finally, praise God that the number of indigenous believers continues to grow. Ask God to help new believers to grow in their faith. The greatest strength of the student ministry in Azerbaijan is a staff team full of energy, passion and hope. Because of restrictions, it is not possible for Christians to meet at universities, so they have formed city groups. Presently, there are groups in three of the four cities, with steps being taken to start in the fourth city. The main challenge is to connect with students, whether Christian or not. The number of Christian students is falling, as they often avoid going to study at university, where there tends to be a lot of corruption. Believers in Azerbaijan are facing increased pressure from the government. Christian activity is associated with ‘foreign’ oppression and is subject to intimidation, obstruction and outright persecution. Nevertheless, the number of believers continues to grow, many are active in outreach and there is relative freedom to share the gospel sensitively. 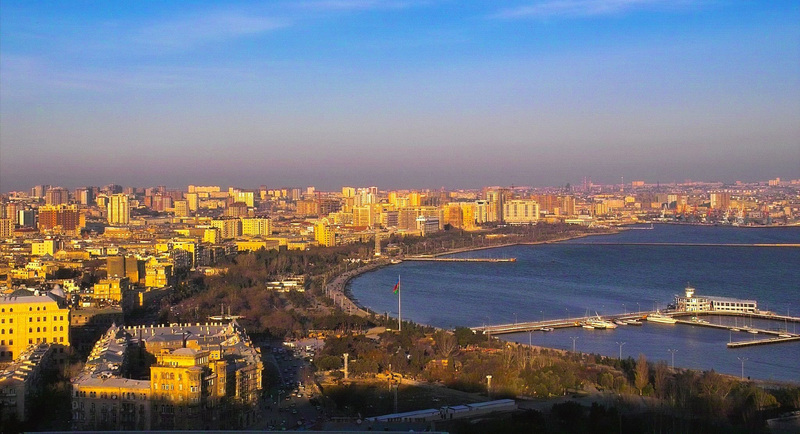 Pray for Azerbaijani believers: for their effective witnesses to non-Christians, for a continued increase in numbers, for maturing of leaders and discipleship training and for good fellowship among believers. Also pray that Azerbaijani believers would be willing to move to the many towns and villages that have never been presented with the gospel. A pastor in Azerbaijan shares: "When you are a Christian, you lose your friends, your job, you don't have any money. When you live in a society where people kind of hate you and don't want any relationship with you, you feel isolated. Thank God for people who pray. You feel that not everyone in this world hates you, there are some people who care about you, who feel that you're part of the family even if you have never met them. I can't explain how great is the blessing to have people from outside of the country who pray for you, who stay outside but you feel that that person stays with you in prayer. It's a great encouragement. Please continue to pray for us." In Azerbaijan, authorities have taken legal action to try to close down a church under a controversial law. Observers say the move to ban Greater Grace Church, in the capital Baku, could set a precedent for further church closures. In the past the authorities have acted in secret to close down churches. Now observers fear they could act openly, with the backing of the law. Please pray that the Azerbaijan authorities will relent from their unconstitutional action that could close Greater Grace Church and lead to the closure of others. Pray for godly wisdom and courage for the judge, and for church leaders and members.